20 June 2017 – Ascending the fourth highest summit in the world – Kilimanjaro – is Avinash Naidoo’s way of testing his personal limits while raising money to fight cancer. “I have been dreaming of testing my personal limits to the extreme, doing something wild that will test my physical and mental strength. 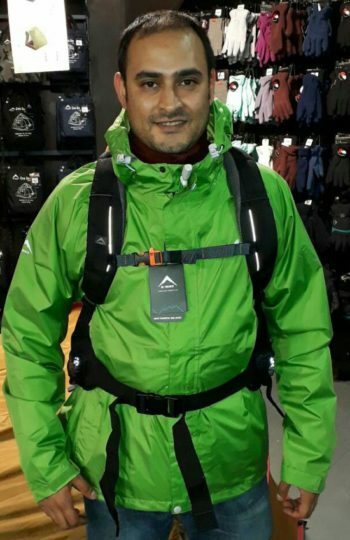 I think summiting Kilimanjaro – the highest peak on the African continent at is 5 895m (19 341 feet) above sea level – will fulfil this dream,” says Avinash Naidoo. But that’s not all. Every step of his seven-day journey to the summit will be in tribute to survivors – people who have fought and are fighting cancer. He appeals: “If you have lost loved ones or have loved ones in treatment, you can understand the pain that this disease can cause. Please help me to help CANSA try to create a world without cancer. Your contribution can help to save lives!” If you would like to support Naidoo’s initiative, please visit https://www.givengain.com/ap/ClimbForCancer/ to make a contribution. With that dates officially confirmed, Avinash is diligently involved in training routines on a daily basis. He trains from the local gym close to his home in Buccleuch and has acquired the services of a personal trainer who is providing guidance on the achieving the highest levels of fitness in order to submit Kili.